The WITELS-ALBERT GmbH roller boxes RK 20 and RK 30 are made of the wear-resistant material 1.2436. Each roller is also fully hardened to a nominal hardness of 63 HRC. Rough environmental conditions and wire surfaces as well as ever higher process material speeds cause wear, which must be avoided as far as possible from the point of view of the efforts to permanently reduce costs. The use of alternative materials is recommended, which can be hardened up to 68 HRC. However, the disadvantage of these materials is that they are costly, which makes it possible to reduce costs only to a limited extent. Of course, ceramics and tungsten carbide can also be considered, but the prices of these materials are much higher. From our point of view, these materials do not represent a solution for the economical production of solid roller bodies for roller guides. Nevertheless, how can the service life be increased? This is achieved by a design that uses a high-quality material such as tungsten carbide in a special geometry, which can be produced inexpensively and is available at a reasonable price. The roller designs of the newly developed roller guides RK HM series use tungsten carbide bars placed over the roll circumference. The bars are supported by a rotation-symmetrical design element, which also houses the bearings of a guide roller and the axel studs. Due to the gaps between the individual bars, the effect of the automatic proportional descaling of the process material results when guiding wire rod. Nevertheless, if the tungsten carbide bars installed in the contact area with the wire are worn out after some time, they do not have to be replaced. A simple turn around the longitudinal axis by 90° increases the service life significantly. The disassembly and assembly required for this purpose can be carried out quickly and easily within the scope of maintenance. Roller boxes of the RK and RK VE series have been part of the product range of the WITELS-ALBERT GmbH for decades. The robust designs are used to stabilize the path of process materials in a defined horizontal and vertical direction. Due to the permanent contact of the process material, wear and tear often only occurs in a very small area on the rollers, especially if the guide gap is set close to the process material diameter. Usually only 25% of the roll length is damaged. In order to avoid damage to the process material, standard maintenance strategies recommend replacing only locally damaged rollers. Although this is good for the final product quality, it has a detrimental effect on the cost-effectiveness of the production. Roller guides of the new RK VE SH series provide a solution to this problem, as they permit both radial and axial displacement and securing of the individually positioned rollers. The radial adjustment and securing of the roller axels with the rollers is achieved by means of slotted holes in the basic body of a roller box and associated hexagon nuts. This is known from the RK VE series. Due to the special design of the roller axels, axial displacement of the roller axels with the rollers is also possible. The multi-part and externally threaded roller axels protrude more or less laterally from the basic body of a roller box section after axial displacement. This may take some getting used to, but it gives users the advantage of setting the contact or wear point correctly and achieving a 4 times longer roller life. Roller guides of the RK VE SH series are available in two sizes for process material diameters up to 5.0 mm and 10.0 mm. 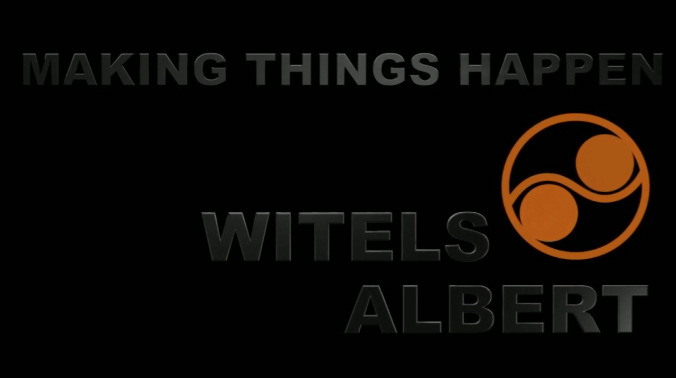 The WITELS-ALBERT GmbH comes up with more accessories for straighteners RT and RTS series. New in the product range are base plates, allowing the design of straightening systems or straightening chaines. Each straightening system or each straightening chain can consist of 2, 3 or 4 straighteners. At least 2 straighteners need to have an identical roll quantity. The known connecting brackets VW are part of the design. Just follow the link for details and dimensions. Explore the accessory with the number 16. The processing of flat wire and strip that has an increased ratio in between width and thickness can be done with the strip straighteners BKV series easily and reliable as each roll is supported with bearings on both sides. This kind of roll support allows a straightener setup with parallel and/or conical roll gaps to manage two straightening processes with just one straightener. Both, the flat and the edge bow straightening process of flat materials can be realized with just one BKV unit. More and more thinner and wider flat wires and strips having also increased yield points have to be straightened. For processing such materials seven straightening rolls can't be recommended anymore, as the material quality and the small thickness require a higher roll quantity for producing a perfect straightness. The new developed BKV 9-60 strip straighteners manage straightening applications with nine straightening rolls having a diameter of 16 mm only. Certainly the roll spacing is decreased as well, which allows the successfully processing of strip thicknesses in between 0.1 mm and 0.6 mm by alternating elasto-plastic bending operations. Find our animated product presentation with all the details of the new straighteners BKV 7 and BKV 9 series. Dive in and use the information for increasing your profit. Why difficult when it can be simple? With straightening rolls separately adjustable and supported by mechanical position displays PO, the roll adjustments on the company’s straightening machines RA H PO series becomes really easy and can be done in a short time.WITELS-ALBERT GmbH of Berlin, Germany, the world’s leading supplier of guides, feeders and straighteners for endless material comes up with several new product series for processing larger sized wire. The main focus of the new products is to minimize the amount of time and manual work needed in relation to wire infeed and straightening processes. Help is at hand by using straightening machines RA H PO series, equipped with hydraulic cylinders for the quick opening and closing. The elastic-plastic deformation of larger sized wire by straightening causes high straightening and transport forces, which can be calculated by the company’s process simulation program. Straightening forces of more than 100 kN per single straightening roll and transport forces of more than 10 kN are more and more common and can’t be handled manually by an operator anymore. While offering all these features with one design for the first time, the RA H PO units define a new industry standard. The new straightening machines are recommended for a total wire size range of 9 mm to 40 mm and are available with five, seven or nine rolls. Find our animated product presentation with all the details of the new straightening machines RA H PO series. Dive in and use the information for increasing your profit. Humans have been using tools for thousands of years. Hammers have traditionally been used, for example, to straighten crooked nails. But that can also be quite painful! And so, in an age when powerful machines are used to manufacture nails, we’re only too happy to set the old tools aside in favour of an affordable new product for straightening process materials. The elastic-plastic deformation of long process material sections or long goods is often necessary at various types of construction sites. In place of the simple hammer, the use of handheld straighteners is recommended. These supply the force and torque required to straighten the process material in a through-feed process, without changing the material’s cross-sectional geometry. It doesn’t matter whether the tool or the workpiece is fixed in place. The form curve of the process material changes over the length if there is a relative movement between the tool and the workpiece and the straightening rollers are positioned relative to one another. The benefits of a through-feed method compared with discontinuous straightening by means of three-point bending are improved manufacturing quality and higher throughput. When designing its handheld straighteners, Witels-Albert always insists on performance density. In other words, high levels of in-process force and torsion can be achieved using straighteners with dimensions and masses that are small enough to ensure easy handling. For this reason, almost all of the individual parts in these handheld straighteners are made from a tough non-ferrous alloy rather than steel. This alloy has a density that is two-thirds lower than that of steel, while also offering the additional benefit of being more resistant to corrosion. And the remaining parts of the handheld straightener also won’t succumb to this chemical reaction because they are made from high-quality stainless steel materials. On request, the same material can also be used to manufacture the straightening rollers, which come with a radius groove as standard. The rollers in each of the two rows on the straightener are screwed into position on separate planes, which can be moved centrically towards or away from each other. The handheld straighteners are so well adapted to the rough conditions that prevail at construction sites that they are a pleasure to use, all the more so because additional features such as the quick-closing/quick-opening mechanism and the robust handles make the job of continuous manual straightening much easier. Handheld straighteners in the “SR” range are available in two sizes that can be equipped with five or seven straightening rollers. The models in the SPR 5 and SPR 7 ranges cover a total diameter range of 3 mm to 13 mm. The design of a connecting bracket for connecting two straighteners RT and/or RTS series of a similar size supports the setup of 16 different straightening systems in total. Each specific straightening system uses specific versions of the straighteners RT and/or RTS series. The pages 5 and 6 of the data sheet introduce all the possibilities. It also informs about the geometrical dimensions of straightening systems, considering the straightener designs being involved and helpful accessories, e. g. mechanical position displays PO, guards or guiding blocks. The straighteners RT series don't have a mechanism for quick opening/closing, which is installed on the straighteners RTS series. Straighteners RTS series can be opened and closed quick and easy with a small amount of force only, as a cam controlled excenter is used for the quick opening and closing. The complete new mechanism for opening and closing a straightener RTS series is very robust and reliable as it is protected against dust and dirt deposits formed from e. g. drawing soap and coating chips. In case a straightener RT series was purchased and new boundary conditions on the production frontier require a mechanism for opening and closing, it quickly can be purchased and retrofitted to build a straightener RTS series.